New York City Band for your Summer Events to make a bang! New York City Band — What is a new York City Band? A great example is FogoAzul NYC!!! 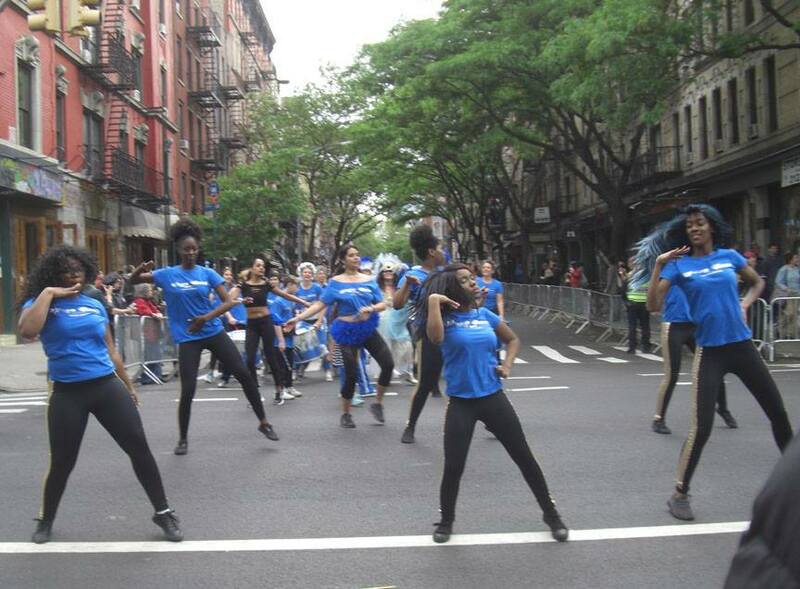 The NYC Dance Parade. 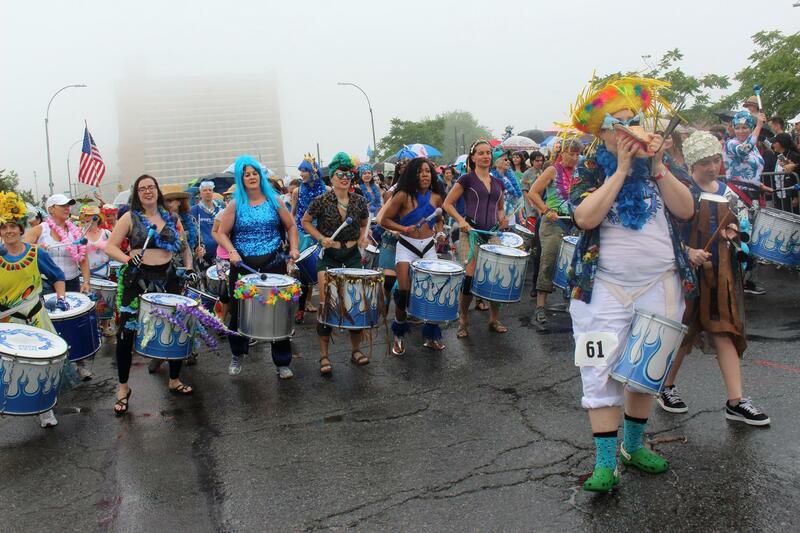 If you check out the parade page, you can see that our very own Samba Reggae Percussion Band participated. 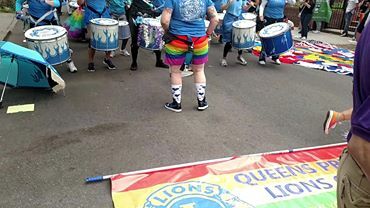 Drumming into June and Gay Pride Month! 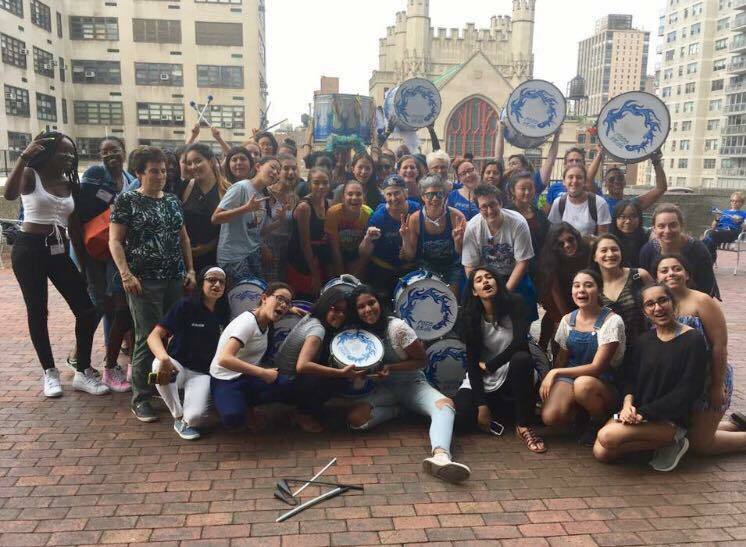 Next up for the women drummers of FogoAzul NYC is June! We played events such as the Queens Pride Parade, Brooklyn Pride Parade and Festival, Rockland County Pride, Make Music New York with New York City Band Sensation all female Taiko drum band called Cobu, the NYC Dyke March, and the annual Party at the Marquee by the fabulous DJ Whitney Day. 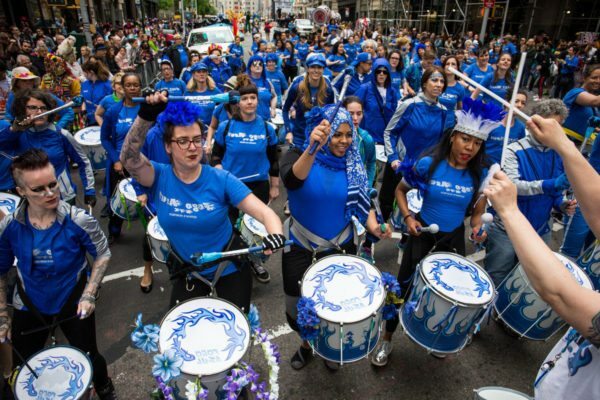 Thousands of lesbians take over Fifth Ave. for NYC Dyke March, including female brazilian samba reggae drumline FogoAzul NYC. 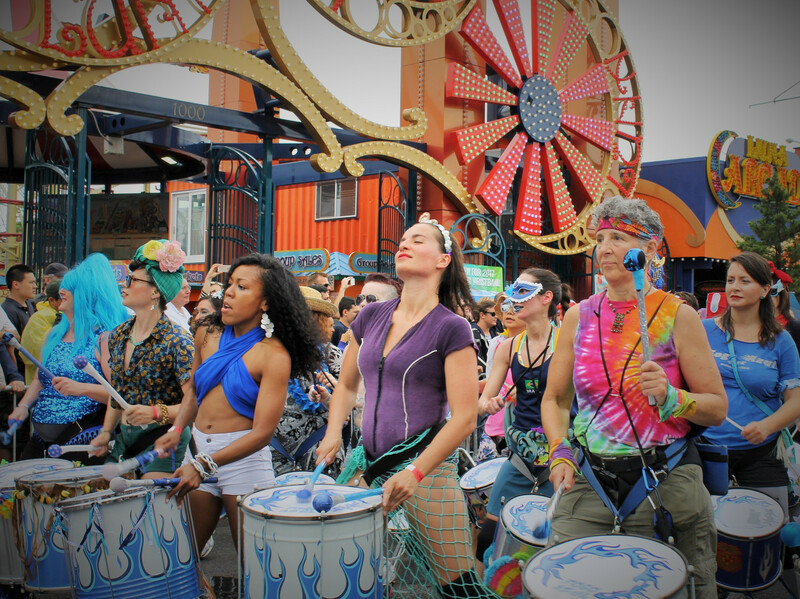 Adorned with rainbows, the women drummers take to Jackson Heights, Queens to show our pride and unity with all LGBTQ people! We left town and headed up north to Rockland County for their fabulous pride event. Also of importance, they were able to buy a building and make a new pride center! Here’s a short little video of us rocking out in Nyack, NY for Rockland County Pride. What else does a New York City Band do in the summer?? The High Holiday called the Coney Island Mermaid Parade! By far, our most fun event of the summer! Why? We get to make more costumes! It was a rainy (ok, pouring) afternoon this year for the parade! We almost decided to back out to keep the drums dry, BUT, the rain stopped right at the 1pm step off time for the parade! We started out super wet but our music and dance dried us off down Surf Ave! This video below is a great showcase of us doing our thing! 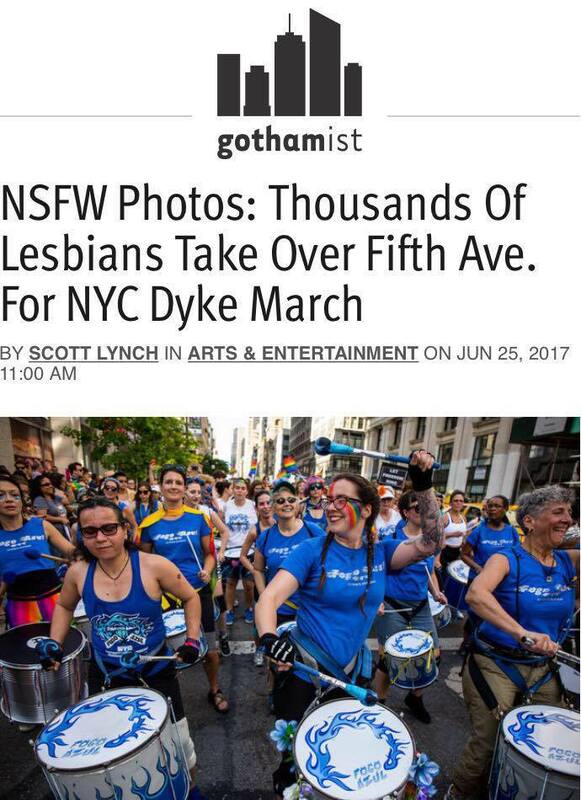 What does a New York Event Band do in July? "...Young women and girls enrolled in middle school, high school and colleges throughout New York City around the country. BALI is founded on the principles and vision of Bella Abzug, a leading feminist and the first Jewish Congresswoman elected to the U.S. House of Representatives. As a lawyer, Congresswoman, and international feminist leader, Bella worked all her life for civil rights and equal rights for women both domestically and internationally. She believed in empowering women to become proactive activists and entrepreneurial leaders working toward full equality for women. Our mission embodies Bella's values as someone who had great principles, heart, passion, and commitment to creating positive social change. " Wow. Amazing work. So thrilling and inspiring to be a part of this program. These young women are the next leaders of our world. OOO! Sports! We make a great stadium band! We trekked back out to Coney Island's MCU Park in July for a NY Cosmos Soccer Game! What a thriller it was! We sat behind the goal and played throughout the whole game! The summer has come and gone in 2017. Please check out our end of summer blog post by our very own Shelly Surdo! New York City Band FogoAzul NYC is now heading into our second year! We are honored to have been a part of the summer in New York City. There are so many things to do here in NYC, but summer by is the best time of the year!